The Canna Bee pillow is a super soft plush Bee in a cute Smiley Style by DirtyWhitePaint (german comic artist Jürgen Disterer). The body is made of super soft plush. 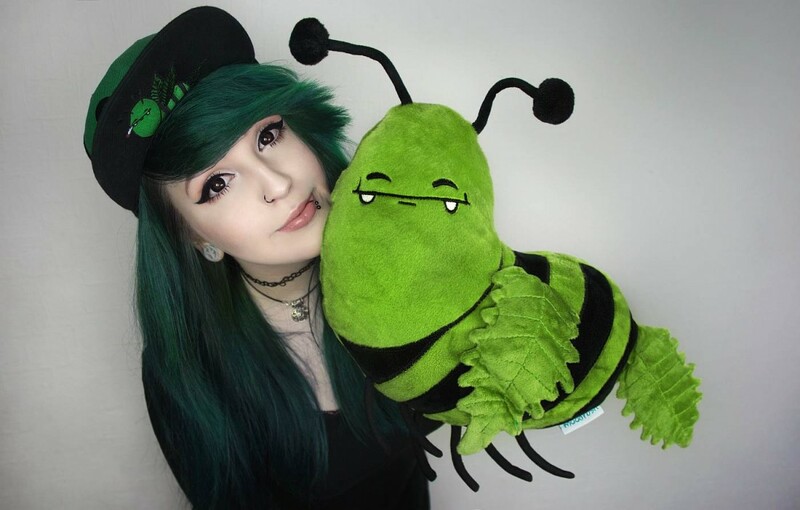 The green Bee Smiley Plush is super soft and cuddly. No print! Only high quality embroidery. The body is large! On the back is a hidden zipper to wash the plush cover easily. You can also hide small things inside the Bee Plush Cushion. You will love the Smiley Bee Kawaii Plush Toy! It is a very cool plush cannabis Bee toy :) Perfect as a gift and cuddly decoration for your livingroom and bed.